The 1 holiday lodges and log cabins available in Dordogne are well suited for a range of holidays. The self catering lodge holidays are available to book online. The larger lodges or log cabins can be perfect for groups or large family getaways. Whereas the smaller more intimate lodges are perfect for couples wanting a little respite from the day to day stesses. 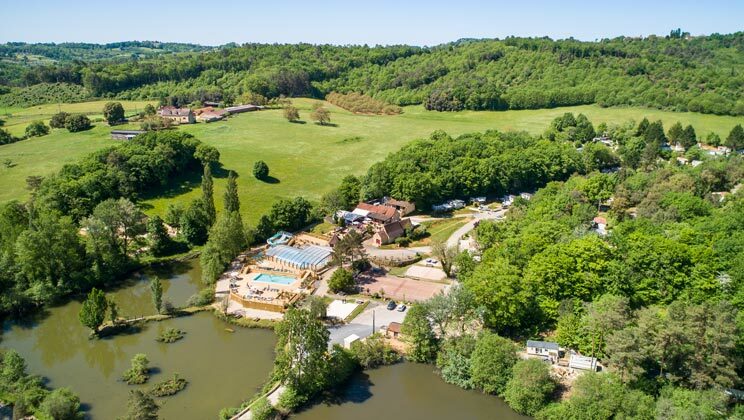 The holiday lodges in Dordogne are ideally placed depending on your requirements, the specification of these luxury lodges will provide a perfect comfortable base for any holiday in Dordogne. You may have seen that some of the listings for the 1 lodges show a video and / or more images icon. These icons show you which of the lodges have a video review or multiple photographs. Additionally, featured lodges can be booked online using the link provided. The lodges with a check availability button allow you to visit the lodges booking site to get the latest availability and book up online. We aim is to provide you with as much information as we can about the lodges available using different media so you can make a fully informed decision about the lodges that you would like to stay at. When you play the video review you can subscribe to our you tube channel or like the video. This may not be all of the 1 lodges there are available. You can get all of the lodges we have using the town links on the right.